Molybdenum possesses high melting point, low coefficient of thermal expansion and high level of thermal conductivity, these properties make molybdenum used in many different industries. EdgeTech Industries LLC provides tailor made pure molybdenum, TZM Alloy and Mo-La Alloy parts, send your drawings to sales@edge-techind.com. 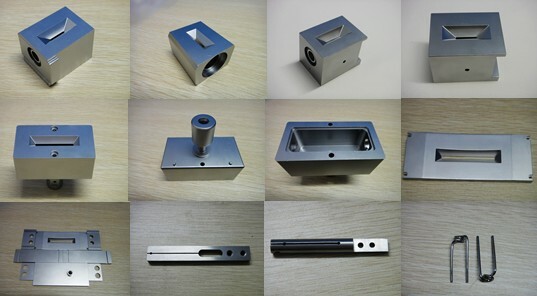 Machining process: Turning and Milling Molybdenum, Drilling, Threading and Tapping Molybdenum, Sawing, Electrical Discharge Machining, water jet cutting, laser cut, etc. 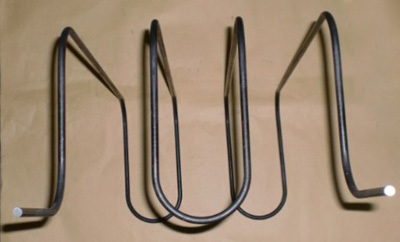 Our molybdenum disilicide heating elements (MoSi2 heater) are available as straight, U-shaped, W-shaped, L-shaped or bent elements in a wide range of shapes and sizes. Molybdenum container (Moly container) is used for heating and sintering, annealing both metallic and non-metallic materials in reduction atmosphere. The function is similar with regular molybdenum crucible & molybdenum tray. Molybdenum Shelf (Moly Shelf) is made by molybdenum sheets, molybdenum bars, molybdenum fasteners. 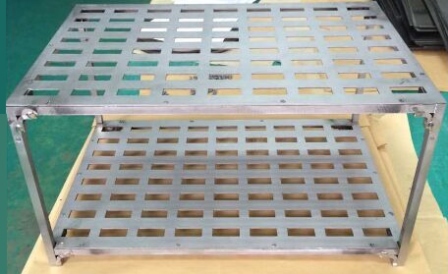 Molybdenum Shelf (Molybdenum rack) is used as material racks under high temperature. 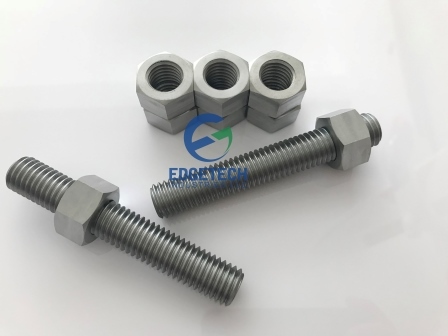 Pure molybdenum fasteners (nuts, washer, screw, bolt) have excellent heat resistance. Molybdenum fastener is useful for heat resistant devices and high temperature furnace. 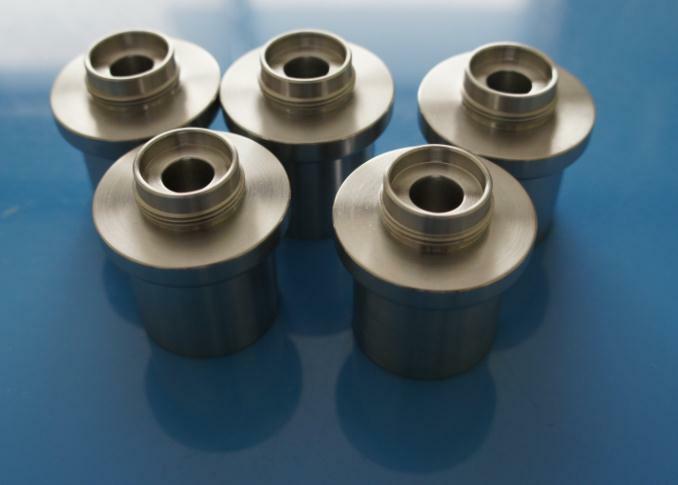 We provide molybdenum crucible is manufactured by two processes: sintering and forging. 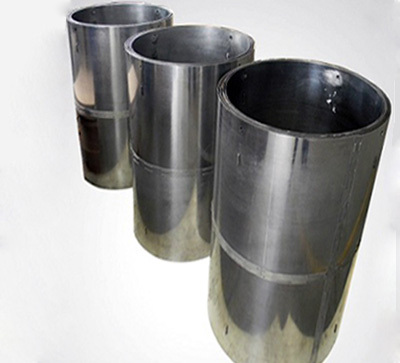 We provide crucibles with shapes (round, rectangular and square). 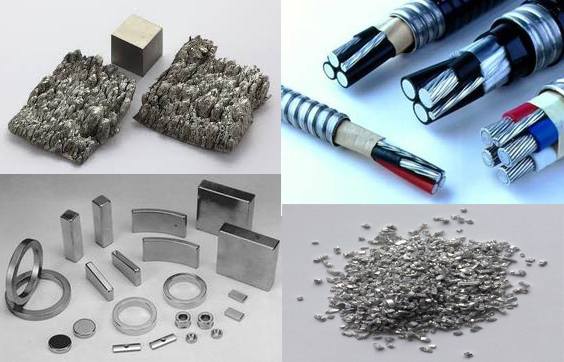 Edgetech Industries LLC provides molybdenum electrode (Moly electrode) & molybdenum cathodes (Moly cathode) per customers' drawings with good quality and competitive pricing. 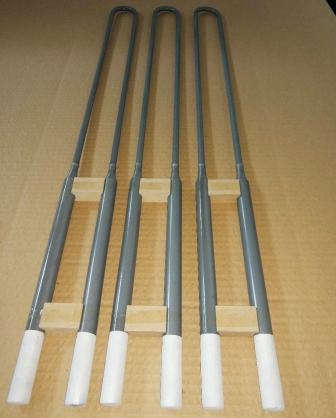 Molybdenum heating elements (molybdenum heater) and tungsten heaters are mostly used for high temperature furnace and sapphire growth furnace and other high temperature furnace. As the heat shield parts in furnace, the most decisive function of molybdenum heat shielding is to reflect the heat. Molybdenum heat shields can also be used in other prevent heat needs occasions. 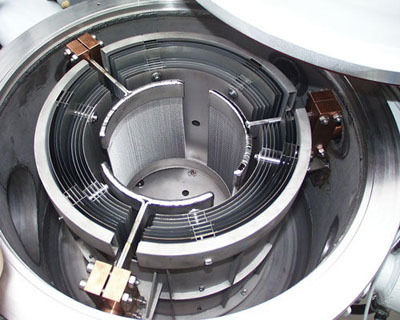 Our ion implantation components are made from molybdenum and tungsten, due to these materials ideal combination of corrosion resistance, strength, and high thermal conductivity. 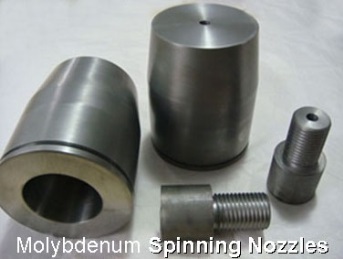 We provide customized molybdenum spinning nozzle, send your drawings to us for quotation. 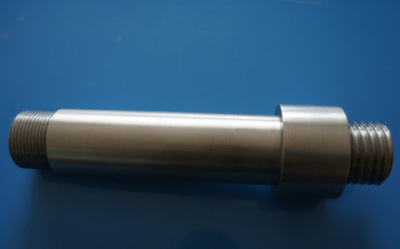 We also provide other pure molybdenum, TZM alloy, MoLa Alloy parts per drawings. 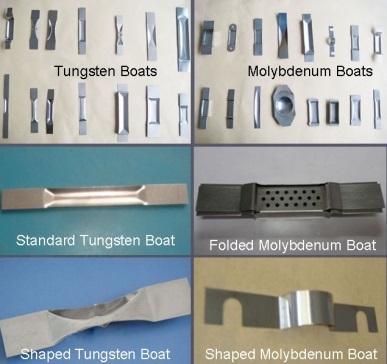 Molybdenum boats are made after processing molybdenum sheets with cutting, punching, folding, riveting and welding. Besides evaporation molybdenum Boats, we also provide molybdenum evaporation coils.